GUILDFORD florist Sophie Hobbs is the only WA finalist in the flowers to carry category of a national competition where the winner will be decided online. The 29 year old recently created the stunning bouquet entry for her own wedding. Sophie, who lives in Ellenbrook, works at her parents� business Angel Flowers in James Street. �I�m hoping WA �Facebookers� will jump online and vote because the voting is really close with a florist from New South Wales,� Sophie said. The voting period closes at 9am on Thursday, November 26. The Tesselaar�s Top Gun wedding design competition has attracted more than 1300 entries among the nation�s 3000 florists. Sophie picked her favourite colours of berry tones, lush pinks and reds for her wedding flowers. Her bouquet features ranunculus, anemones, a variety of roses, jasmine and berries. Some of the flowers were sourced locally, with others flown in from Melbourne suppliers. 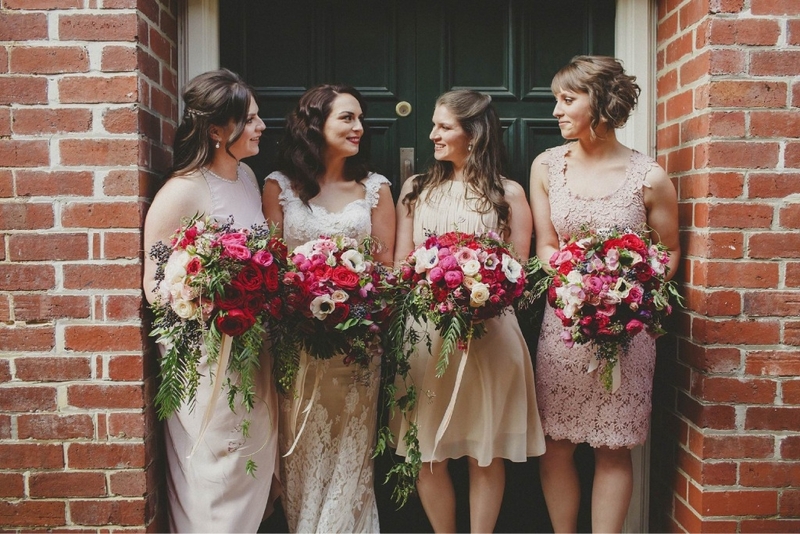 Sophie�s sisters have worked in the family business and each made their bridesmaid�s bouquet. Pictured are Sophie Hobbs (second left) with sisters Maria Di Paolo, Gemma Nielson and Charmion Di Paolo.